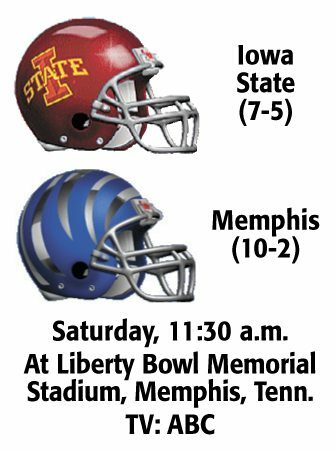 MEMPHIS, Tenn. — Memphis will be playing the Liberty Bowl in familiar territory, but the chilly weather could have Iowa State feeling right at home. Saturday’s forecast calls for highs in the upper 30s and lows in the upper teens at Liberty Bowl Memorial Stadium, which serves as No. 19 Memphis’ home field. That’s rather cold by Memphis standards, but it’s milder than the sub-zero temperatures expected on Iowa State’s campus today. “This is warm to us,” Iowa State running back David Montgomery said. Iowa State (7-5) downplayed the notion that the weather could give the Cyclones any sort of benefit to counteract Memphis’ home-field advantage. 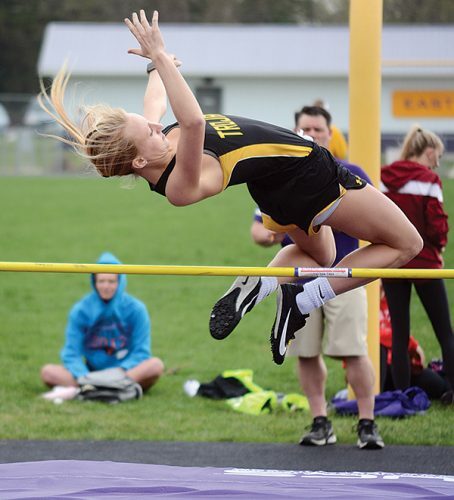 Neither team played a regular-season game with temperatures below 40 degrees this year. Memphis (10-2) beat Tulane amid rainy conditions in the low 40s and defeated Louisiana-Monroe in a storm. This type of cold offers a different kind of challenge. Memphis has reason to feel confident. The Tigers haven’t lost in any of their seven games at Liberty Bowl Memorial Stadium, where they’re averaging 50 points and over 500 total yards. Memphis boasts one of the nation’s most electrifying pass-catch tandems with quarterback Riley Ferguson throwing to Miller, a consensus All-American. A Liberty Bowl victory would give Memphis its first 11-win campaign in school history and would assure the Tigers of their highest season-ending ranking. Memphis has only finished a season in the Top 25 once before, when it ended up 25th in 2014. Iowa State sold over 15,000 tickets for this game, but Memphis still figures to have the majority of fans on its side. A sellout crowd of 57,266 is expected for the Liberty Bowl, which is sponsored by AutoZone. Memphis is a four-point favorite, though Iowa State feels comfortable as an underdog. The Cyclones won at No. 2 Oklahoma and at home against No. 13 TCU this season. Iowa State hasn’t lost a fumble all year. The Football Bowl Subdivision record for fewest fumbles in a season is one, a feat achieved by Bowling Green in 1996, Miami (Ohio) in 1998 and Northern Illinois in 2004. Iowa State is 7-0 when it has a positive turnover margin and is 0-5 in its other games. This game features two of the nation’s hottest young coaching prospects in Memphis’ Mike Norvell and Campbell. Norvell, 36, is 18-7 in two seasons at Memphis. Campbell, 37, owns a 45-29 mark in six seasons as a head coach (four at Toledo and two at Iowa State). Norvell agreed to an extension this month, while Campbell got a new six-year contract worth $22.5 million. Both teams are coming off tough defeats. Memphis lost the American Athletic Conference championship game 62-55 in double overtime to No. 10 Central Florida, a setback that likely cost the Tigers a New Year’s Six bowl berth. Iowa State dropped its regular-season finale 20-19 at Kansas State. Iowa State has lost three of its last four games. 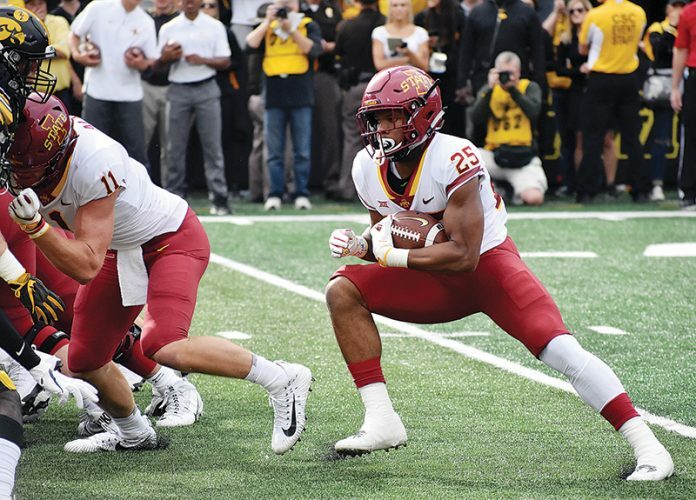 This game features two of the nation’s most prolific active receivers in Miller (234 career catches, 3,535 yards, 36 touchdowns) and Iowa State’s Allen Lazard (231 catches, 3,218 yards, 25 TDs). Miller has caught 92 passes for 1,407 yards and 17 touchdowns this season to rank second among all FBS players in touchdown catches and yards receiving per game. This marks the last college game for both players. Iowa State’s Joel Lanning moved from quarterback to linebacker this season and has responded by delivering a team-high 110 tackles. He also still occasionally plays quarterback in short-yardage situations. Lanning was a finalist for the Paul Hornung Award given annually to the nation’s most versatile player.